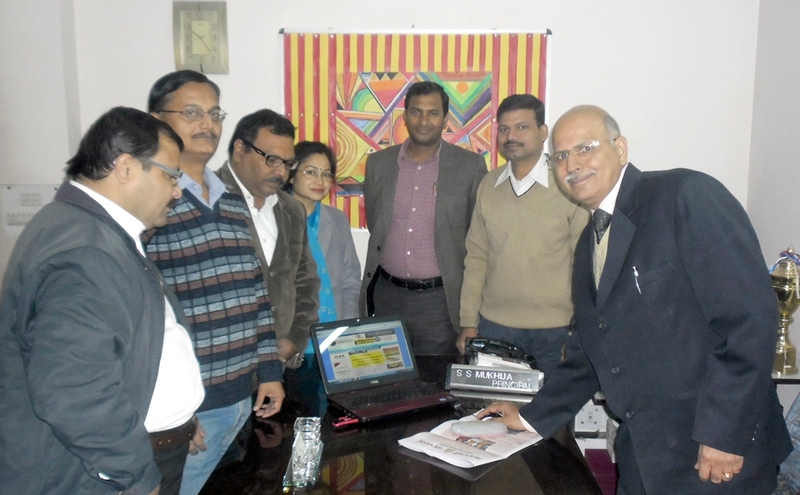 24th December, 2011 E-Magazine on School Admission Guide 2012-13 was launched by Mr.S.S.Mukhija-Principal of D.A.V. Public School, Sector-6, Dwarka. On the occasion, Mr.Mukesh Kumar Singh(Director), Mr.Sanjay Mishra, Mr.K.Siddhesh Roy(Chief Editor), Mr.Sunil Dwarka Parichay Team, Mrs. Subhadra Bahuguna, Mr.Sushil Kumar-General Secretary-Dwarka Forum, school staff members & parents were also present. According to Mr.S.S.Dogra-Managing Editor-Dwarka Parichay, this E-Magazine contains different topics like Guidelines issued by Department of Education, Right to Education Act,2009, EWS Quota System, documents required at the admission, admission schedule, Useful articles/ tips for parents & students, Nation wide Survey Report on School admission, Parents views/comments, eligibility criteria, list of schools etc. It’s a gift for those who are eco-friendly & love to Save Paper. This E-Magazine will be available free of cost on our website. Mr.Dogra further added that our aim, is, to provide a platform for the parents community to obtain the latest information (for the Academic session 2012-2013) create more transparency related to school Admission. Mrs. Monika Verma-one of the Parent present on occasion appreciated dwarkaparichay team for providing updated & useful information regarding school admission through popular portal of Dwarka. Please forward/ share & help parents with these useful information.